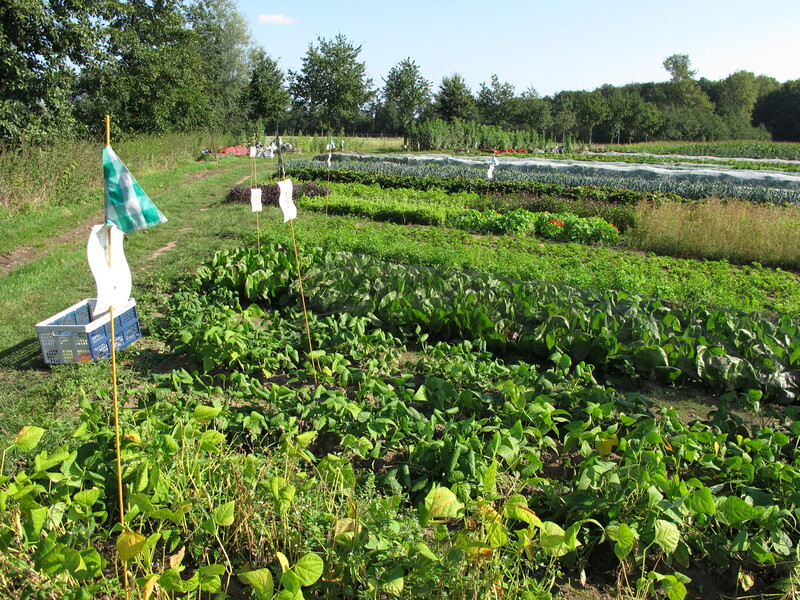 Community Supported Agriculture links customers with local food and its producers. There are a variety of CSA models. Michiel Van Poucke started this CSA in December 2008. He produces a diverse range of vegetables on his farm each year in return for members paying an annual fee based on the size of each family. 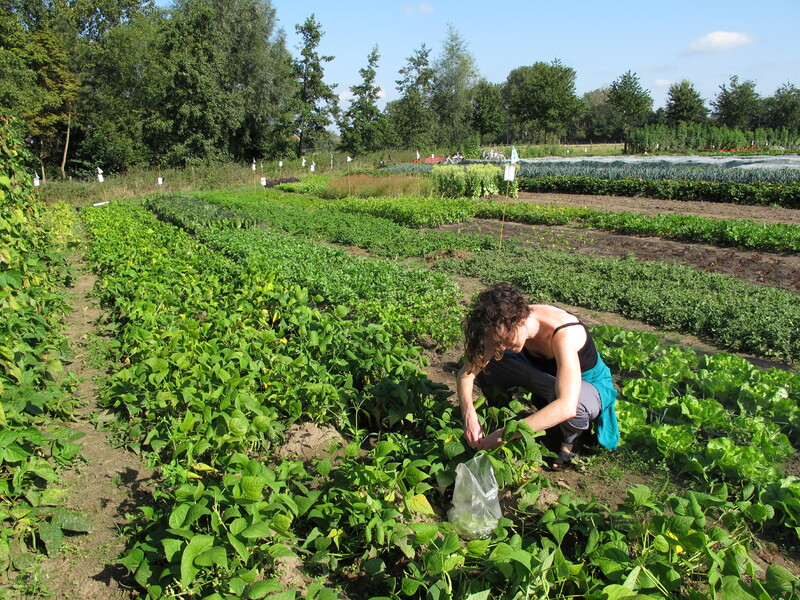 Members come to the farm to harvest their own food. 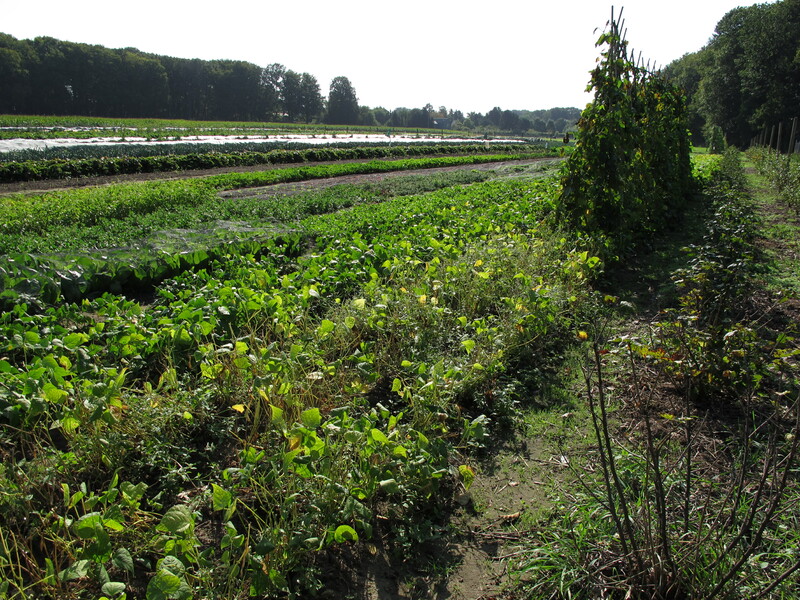 Each week Michiel sends an email to his members, with information about which vegetables are ready for harvest and if there is any work to be done on the farm. This is a unique model for a CSA, as its members can experience life on the farm, learning about growing food and caring for the land. And it's a great experience to visit the farm each week and pick your food. Eva de Groote and her family are members of CSA Wijveld. 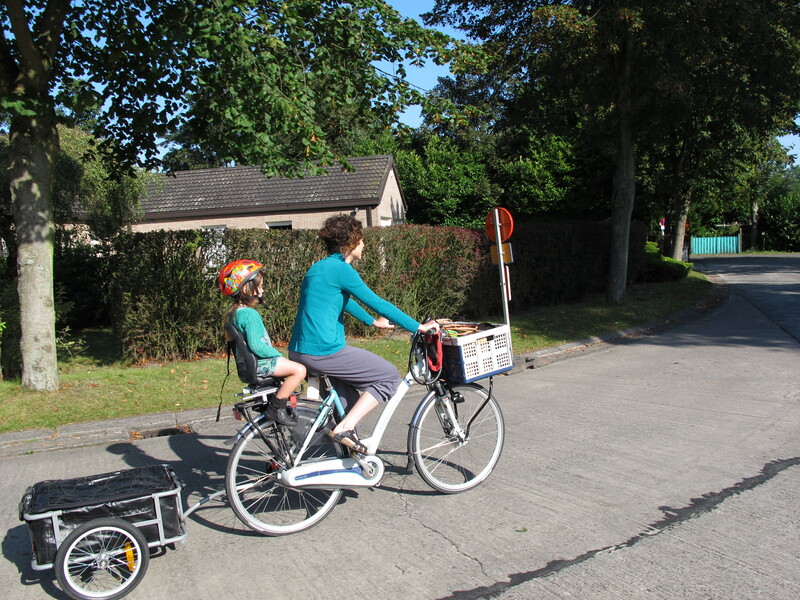 Each week they ride their bikes to the farm and pick their vegetables. 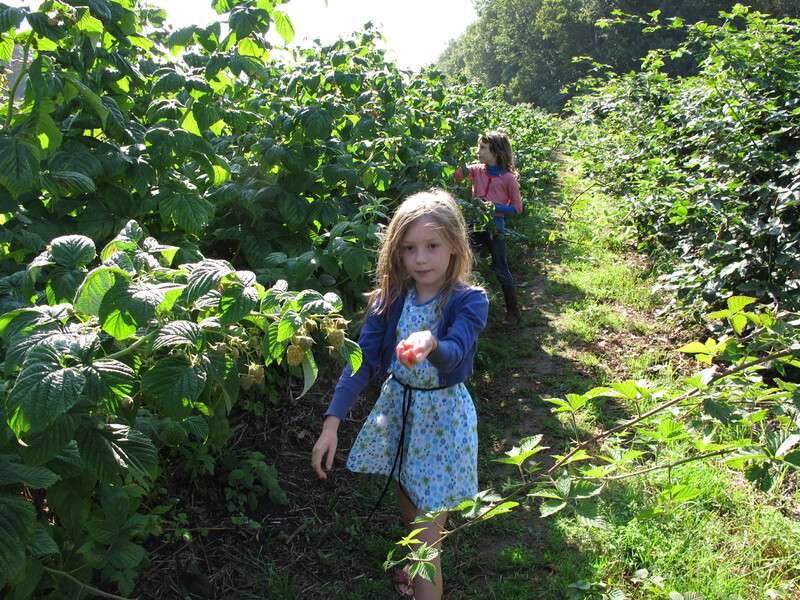 One Summer day in 2012, while Eva picks beans and New Zealand Spinach, her daughters explore the raspberry bushes, picking a bowl of fresh delicious berries. Eva explains how there are flag markers at the end of each row indicating which vegetables are ready for harvest. If some vegetables are lower in quantity, Michiel tells the members to restrict their harvest to a certain amount to make sure everyone has some. There are about 80 families involved with this CSA, feeding around 200 people. 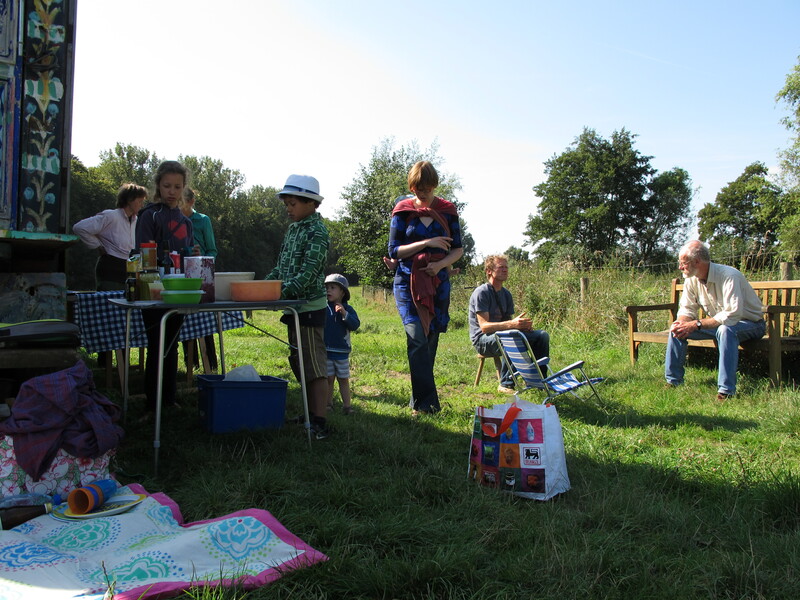 On the day of Eva's visit, Michiel held a picnic for members so that everyone could meet. Eva says that each week you run into a different person while you're in the field, so it was a great day to see everyone together.